Michael Bar-Zohar is a writer, public speaker, and former lawmaker. Author of many novels and books of non-fiction, he was a Member of the Knesset, the Israeli Parliament, and envoy to the Council of Europe. His most recent book is Mossad: The Greatest Missions of the Israeli Secret Service (Ecco) with Nissim Mishal, an eye-opening, boots-on-the-ground account of the most dangerous Mossad missions from the 60-year history of the world-renowned security agency. A former adviser to General Moshe Dayan, Bar-Zohar also has served as a professor at Haifa University in Israel and at Emory University in Atlanta, Georgia. He is one of Israel's foremost experts on espionage and the official biographer of David Ben-Gurion and Shimon Peres. His books have been translated into 18 languages. A celebrated lecturer, he is an ideal keynote speaker for universities, Jewish groups, Foreign Affairs associations, and historical societies. The Mossad is widely recognized as the best and most enigmatic intelligence service in the world. 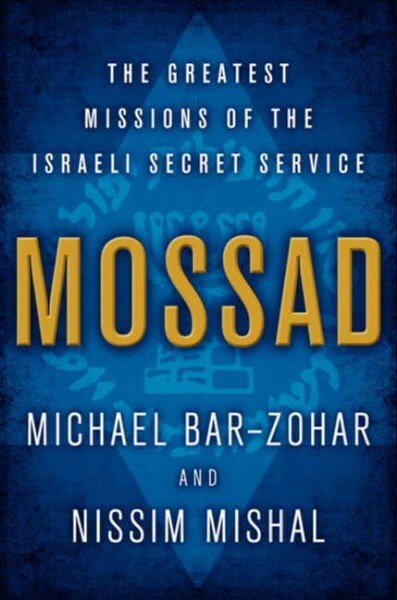 Bar-Zohar's Mossad lectures bring to light the defining and most dangerous operations that have shaped Israel and the world at large from the agency's more than 60-year history. Among them: the capture of Eichmann, the eradication of Black September, the destruction of the Syrian nuclear facility, and the elimination of key Iranian nuclear scientists. Sharing intensive research and exclusive interviews with Israeli leaders and Mossad agents, Bar-Zohar recreates these missions in riveting detail, vividly bringing to life the heroic operatives who risked everything in the face of unimaginable danger. In the words of Simon Peres, President of Israel, Bar-Zohar's gripping, white-knuckle account "tells what should have been known and isn't - that Israel's hidden force is as formidable as its recognized physical strength." Bar-Zohar has appeared on ABC, CBS, CNN, and C-Span. 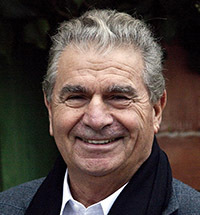 He has also written the biography of Isser Harel, the legendary Director of the Mossad, and co-authored The Quest for the Red Prince which dealt with the bloody war between the Mossad and Black September. His book Enigma was made into a Hollywood movie starring Martin Sheen, Derek Jacobi and Sam Neill. He has won the Ben-Gurion award, Israel's Prime Minister's Prize for Literature, the French Academy Award, and the Israel Sokolov Award (the Israeli Pulitzer). He was knighted by the President of France as Chevalier de la Legion d'Honneur. He lives in Tel-Aviv and Florida. "This book tells what should have been known and isn't - that Israel's hidden force is as formidable as its recognized physical strength."